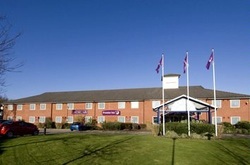 Located close to Cwmbran train station and just 12 miles from Newport city centre, this Premier Inn makes an ideal base for exploring the Brecon Beacons just 25 miles away and Abergavenny just 10 miles away. Hotel facilities include an on-site Harvester restaurant and free parking for all guests. Book direct for the best Premier Inn Pontypool deals.